THE PULSE: Online travel agents, hotel websites and global distribution systems continue to bring in big business from leisure and business travelers. 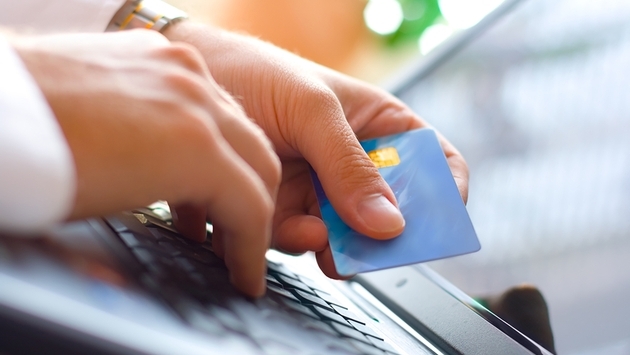 In the first quarter (Q1) 2014, online channels – which include Online Travel Agents (OTAs), hotel websites (Brand.com) and global distribution systems (GDS) used by travel agents – continued to grow in popularity among individual business and leisure travelers, according to data from the TravelClick North American Distribution Review (NADR; Second Quarter 2014). The TravelClick NADR aggregates hotel bookings by channel for the transient segment (individual leisure and business travelers). 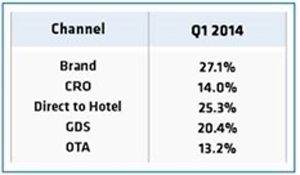 In Q1, 2014, the OTA channel (which includes Expedia, Hotels.com, Bookings.com, etc.) experienced the largest jump in bookings, with a 9.2 percent increase in the first quarter compared to last year. Brand.com room night bookings increased year-over-year by 6.1 percent. The GDS room nights grew 2.9 percent. Hotel Direct (calls directly to the property and walk-in customers) and calls to a hotel’s 800-number, the CRO channel, decreased slightly -0.4 percent and -0.9 percent, respectively. Average daily rates (ADR) across all transient channels grew 3.3 percent in Q1, 2014 compared to the first quarter 2013. The OTA channel had the highest ADR growth with an increase of 7.9 percent. Additional channels that showed growth include: Hotel Direct, up 3.0% percent; GDS up 3.3% percent; CRO up by 1.7%percent and Brand.com up 2.7% percent. In Q2, 2014, OTA ADR is tracking ahead by 8.5 percent, based on reservations currently on the books. ADR for the second quarter is also growing for the other channels, up 4.1 percent for the GDS channel, 4.0 percent for the hotel direct channel, 3.4 percent for Brand.com and 3.2 percent for the CRO channel. The table illustrates the share of transient room nights by channel based on actual reservations.